Oh how very cute! And the bases you created are so sturdy! Love chalkboards and yours is great! I love this idea! Not only that, I love that you gave the option of following your directions and making it or buying it in your shop!!! Really darling. I want one. These are awesome!!! TFS! Found your project on Pinterest! I finished the four of mine I have been working on. I love them! Thank you for a great tutorial!! These are so great- how cute these would be to use on a buffet table or anywhere you want to remind yourself of something or to put your bible verse that you are memorizing. I love how elegant and vintage they look! I love your link up ! 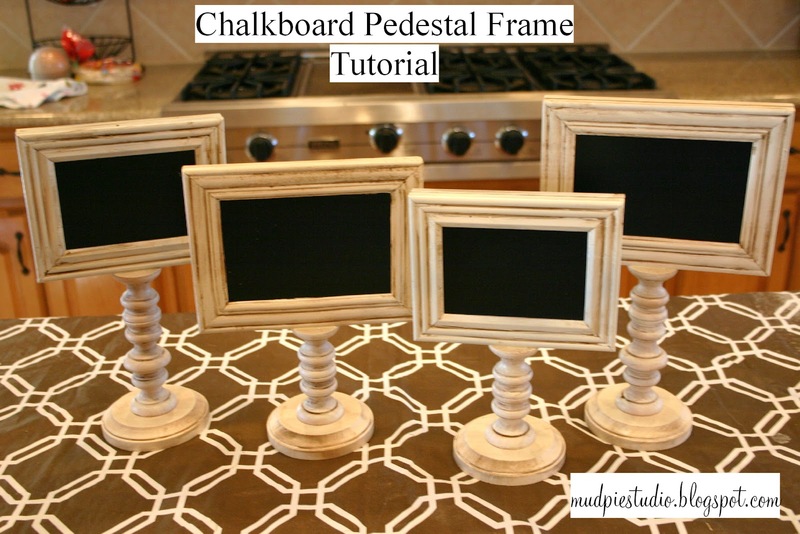 Always looking for unique, useful, and cost effective crafting ideas... SWEET I will do this for my daughter's new apartment. She is a list maker. EXCITED! This is really awesome, thanks so much for sharing how to do this! Awesome! What size wood disc do you use?? Awesome job...curious to how well you find the contact papter holds up?? Your frames are super-cute - love em! I have this linked to my picture frames post too today, well done! Ketoviante Australia weight loss supplements uses all natural ingredients one is Beta-hydroxybutyrate (BHB) which also known as ketone.